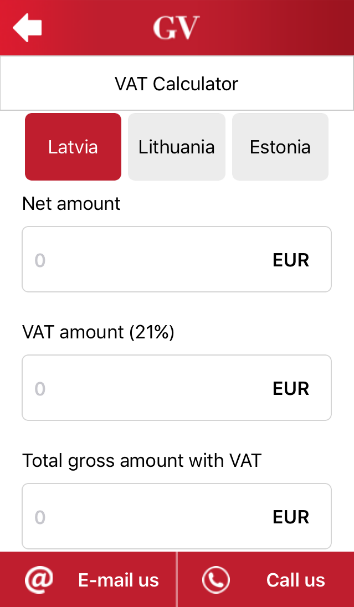 Baltic Taxes is a tax planning and optimization application which helps the user to calculate the VAT, corporate and personal income taxes in the Baltic States (Latvia, Lithuania and Estonia). You can find all tax rates as well! We have just launched new and easy to understand Tax Planning application that can be very helpful not only for entrepreneurs, but also for everyone else. 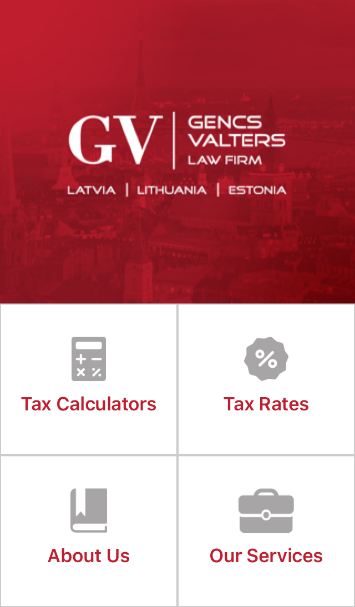 This application is very useful for Tax Calculations in all the Baltic States (Latvia, Lithuania and Estonia). Here you can find Tax Calculators, Tax Rates, information About Us and Our Services. 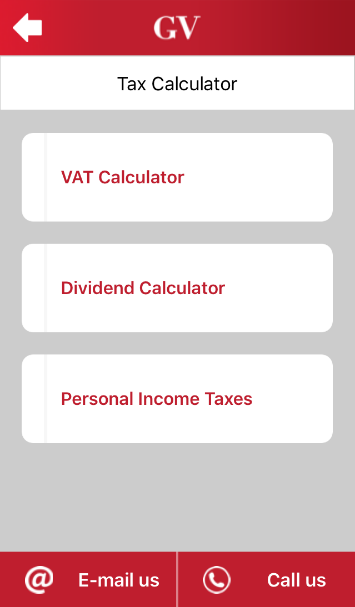 This includes three types of Tax Calculators: VAT Calculator, Dividend Calculator and Personal Income Tax Calculator. You can choose country, fill with your information, and application will calculate everything for you! 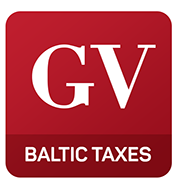 To find out more about taxes in Baltics please contact our lawyers at info@gencs.eu.